Classic Kings Quest for Free – HNet Inc.
Do you remember the first time you played kings quest? Sure you do. Now I wanted to get the word out about an awesome developer who has updated kings quest 1, 2 and 3 to updated graphics and works with newer versions of windows. How much does all this cost you may ask, well its absolutely free. 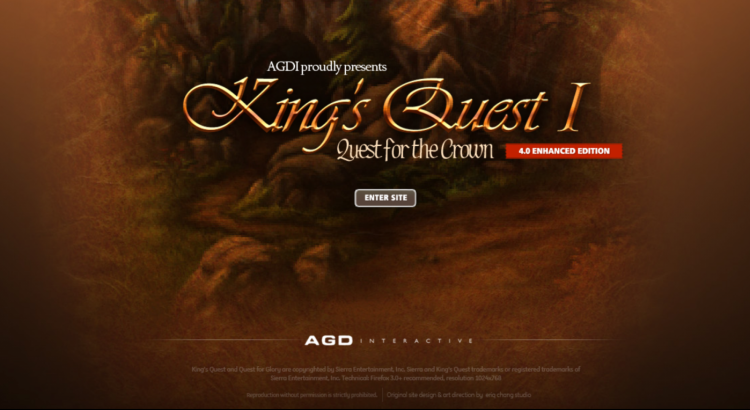 My hat is off to AGDinteractive Studios for doing all this working! Click here to check out the games. There are a few others as well but I will leave those as a surprise.